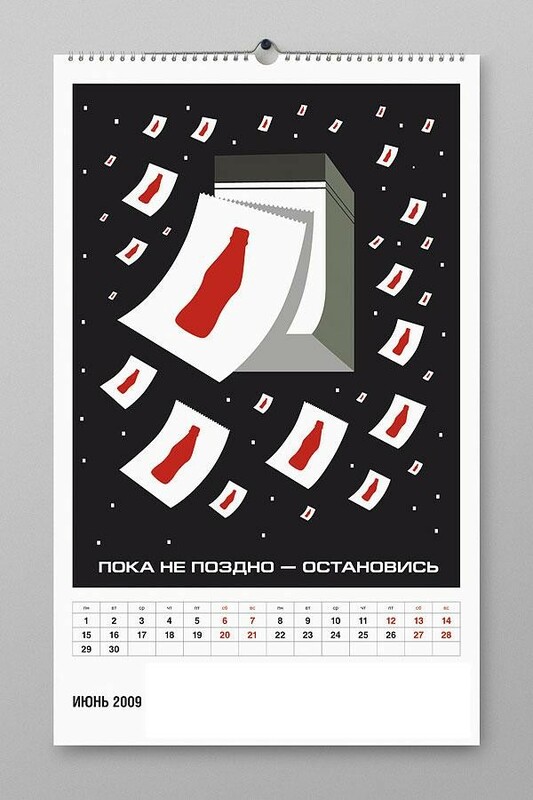 In Russia they started selling anti-Coca-Cola calendars. The reasons for this are not very clear. Here is it. It’s being made in Soviet stylistics. 2) While Coke does contain A LOT of sugar and has not a drop of nutrition value, there is a lot of hype out there that Coke dissolves a pound of meat in 12 hours, people clean toilets and carburetors with it, etc. and the Russians could have “bought into” a lot of that hype much like the Americans have. 3) Coke really is chemistry and I do believe Diet Coke, while does not directly contribute to weight gain, does contain chemicals that are harmful, dangerous, and possibly addicting. While I commend Russia for starting this “campaign” to promote a healthier beverage, I think the drink that causes the most danger in Russia is Vodka. I believe Russia’s alcoholism is far more dangerous than any Coke product. That is so ignorant. This is Russia, not some third world country. They are not malnourished and even in the more poor areas of the country, why would they drink Coca Cola… studies show that Coke actually increases one’s appetite. Coca Cola is not a “great American Company” and does not need to be thanked if they are practicing shady activity with unions. OMG I wanna a Coke RIGHT NOW!! Sadly, that title belongs to the UK now. YOU CANT EVEN SHOW WHERE YOUR COUNTRY IS ON THE WORLD MAP. BOTH LITERALLY AND FIGURATIVELY. WAY TO GO UKRAINIAN VANDALS. You mean India is poverty stricken? Miss India-I lived in Russia my whole life, YOU HAVE NO IDEA WHAT YOU ARE TALKING ABOUT! if you know the real facts about cocacola, you wont feel like this. It’s not about the drink its about the corporation. They assassinated 8 union leaders and tortured countless employies in South America. On the other hand Vitamin Water does have 33g sugar. 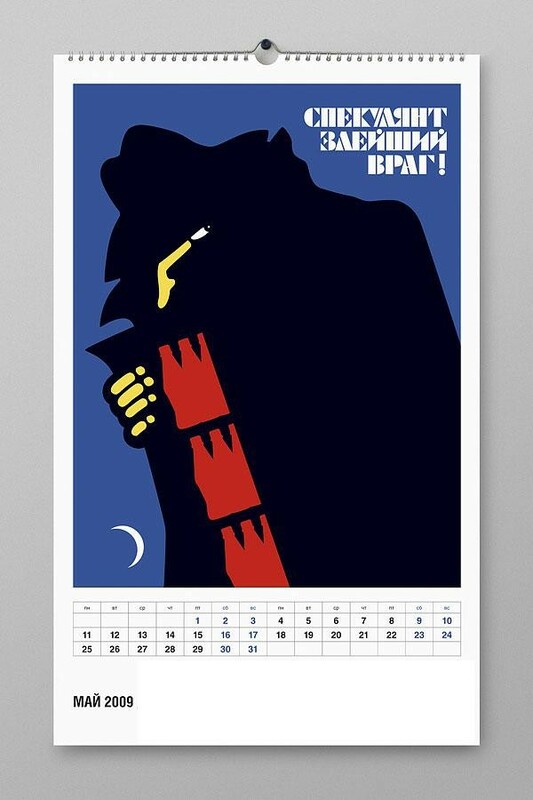 Where the heck can I get my hands on one of these calendars? Any ideas? What’s the logo and tagline that you removed from your version of the photos? Is that a competing beverage company or something else? It’s not propaganda, come on! ITS JUST DESIGN!!! I like the old school design. Indeed, in Russia beer is considered a soft drink by the kids and consumed in enormous quantities. More harmful than Coke. Average lifespan of a Russian male : 56 years. Beer and vodka are contributing the most to this 3rd world level. Not coke. Better still, don’t drink any of these. Max… are you still self-harming? Look, I do understand just how difficult it is living with depression from personal experience. But don’t worry, there is help. It’s just that you must realy want to help yourself first, and stop senseless this self-denial. But I do have faith in you friend. Perhaps one day the glass will be half full for you too. 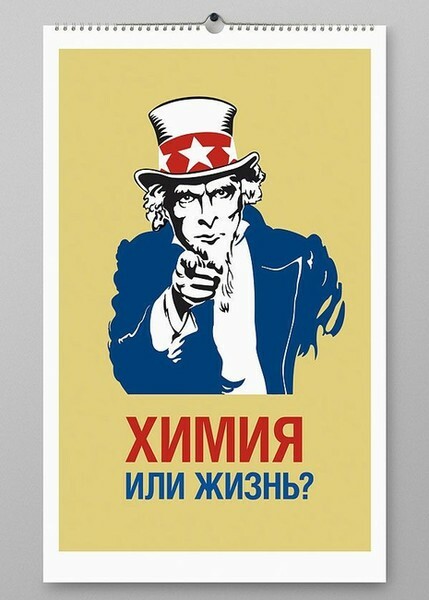 uncle Sam ??! definitely Soviet-stule. Nope, drug use has definately increased since Soviet era because it was non-existant then, but drug use is still far higher in America and other countries. Legacy of the Soviet era. Didn’t happen in pre-Soviet times, and Russia can’t instantly reverse seven decades of Soviet practices (nor can it afford to instantly switch over to costly “green” technologies). god this miss india broad is a real piece of work…. Calm down and write normal.Dont have a melt down.Everyone has problems,not just you. I meant to post that last comment above but anyway most people on this site make fun of russia so there is no need to say sorry.Even I am not always serious. Why do man in last photo look a like he grabbing engorged manhood and wrestle it to pleasurable ending? 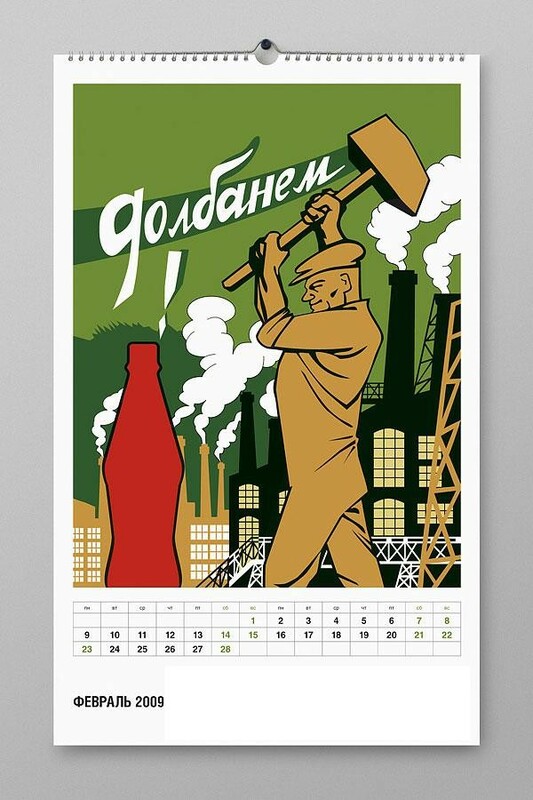 This calandar is like old soviet propaganda posters I have seen on this site.I wonder if a non cola company like sprite is behind it.Just say NO to coke! Sprite is owned by coke, good try though. I would really like to have one of these calanders too! This is so IMPORTANT to me I think I’ll get serious and even try to spell correctly. When I first looked at these pictures I thought of the old Coke, which really did have cocaine in it once. I have never heard anything about the owners of Coke actually killing union leaders, (my husband is a shop steward for the woodworks local so of course I’m pro union), but I myself can’t drink Coke or Pepsi because they make me SICK. I’m gluten intollerant* and the ‘carmel color’ is made from wheat. The sweetener is corn surup: it’s bad because it’s processed with mercury. But the artificial sweetener aspritame is much worse. If you don’t have the right juices in your gut to break it down it becomes a very dangerous poison – a neurotoxin. If I drink a can of this stuff I not only get cramps, I get a horrible headache that’s so bad that I’m unable to focus my eyes for a day or two. I’m not joking. Processed food in this country is killing us all. If you look at the number of people here in the USA with diabetes and cancer it’s obvious we have an epidemic problem – with our food. My advice to any one who wants to eat healthy: support your local farmers – or if you have some land plant a garden and get into animal husbandry. Thanks for the soap box – I really hope this helps someone. *For the person who’s gluten intollerant or ‘Celiac’ the ‘glue’ of grains as it leaves the stomach actually tears out the lining of the small intestine, (it’s stringy yellow & bubbly looking in the toilet), that’s the part that absorbs nutrient. When the gut is unable to absorb nutrient the body is hungery again. you are correct: Coke killing union leaders, spying on the world, killing children?!?! I don’t think so. BUT I think they are correct in launching an anti-Coke campaign for the health of their public. I do believe Coke is in a large part responsible for the obesity problem in the US. There is absolutely no nutritional reason to drink Coke or diet Coke for that matter. Massively obese people (500+ pounds) seem to LIVE on Coke, they drink it like it’s going out of style. Yet most adult Americans believe that Coke is what you are SUPPOSED to drink. Why? “It tastes good” So does just about anything else; fruit juice, vegitable juice, milk, water etc. I gave it up 15 years ago and don’t miss it at all. heatmiser: Please tell me you’re not serious, “most adult Americans believe that Coke is what you are SUPPOSED to drink,” no adult in any country in their right mind would think that they’re supposed to drink coca-cola. Also, it’s not solely responsible for obesity, but it definitely contributes. The diets of many, many people in first-world countries consist of plenty of foods and beverages that destroy their bodies.. Not because they think they’re supposed be consuming those things, but because they enjoy them and consume them without considering consequences. And another thing: why are you so strictly set on the United States? Coca-cola is a worldwide corporation and there are many other nations whose population consist highly of overweight and obese persons. I think this is leading to rambling, ending now. I simply meant that most American adults prefer Coke to water. Watch people in a restaurant, if they are not drinking beer or wine, they are most likely drinking Coke. I also didn’t say it’s soley responsible for obesity, I said “largely”. A little different. I agree that there are plenty of of other foods and beverages that “destroy their bodies”. Drink Coke if you want, I do not care. I’m just saying you’d be better off without it fatty. Having said that: I will admit that on the rare occasion that I go to McDonalds I drink Coke. Nothing goes with a Quarter Pounder Cheese and Fries like a large Coke! As long as I’m taking in all the bad fats and salts in a QPC/Fries I may as well go all the way. But otherwise I usually drink water. So there! Everybody, Miss India is just baiting you. He does it every post, takes both sides and enjoys the reaction that it creates. He will suffer for his actions when he dies. Coca Cola is riddled with CIA agents. LOL, those Ruskies have no idea what they are missing! Coke ROCKS! Are these calendars for sale online? Did you know that The Moody Blues did a commercial for Choke? Nope, “drug abuse” has increased since Soviet era when it was non-existant but drug use is still far higher in America and other countries. Legacy of the Soviet era. 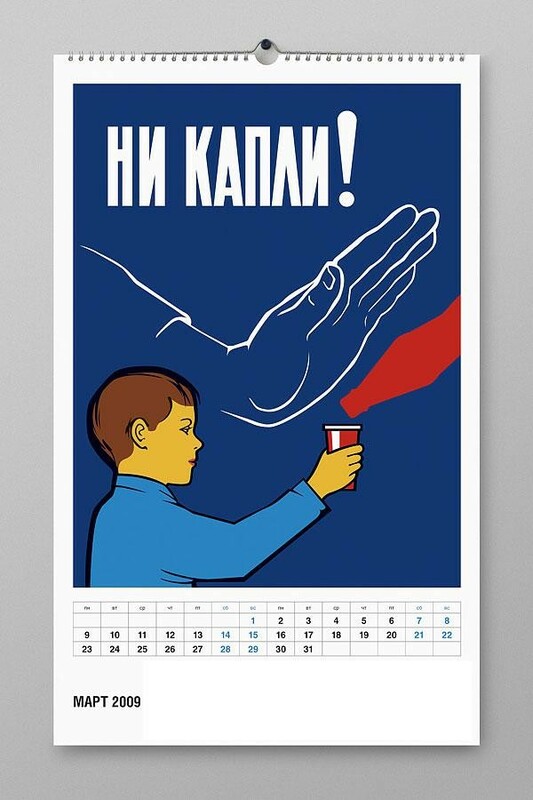 All of these posters are puns on old Soviet anti drinking (alcohol) posters. 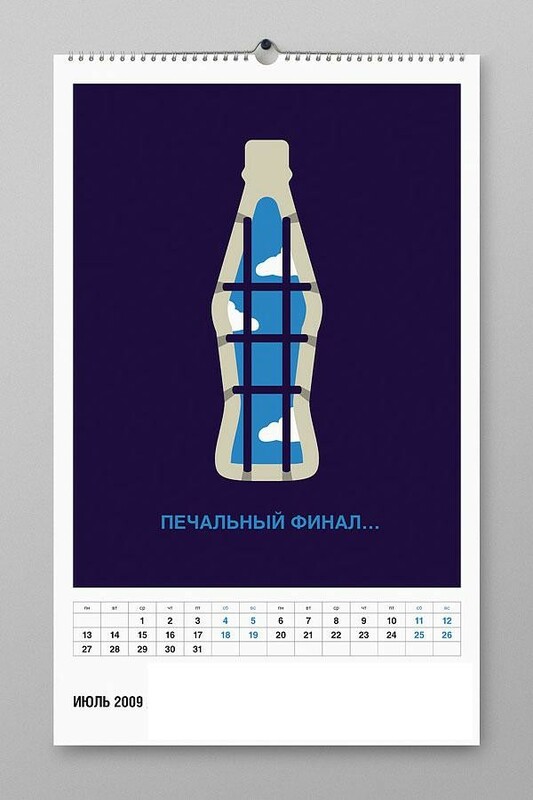 This design was created by Russian ad agency Great for the beverage company Deka which produces Nikola Kvass. 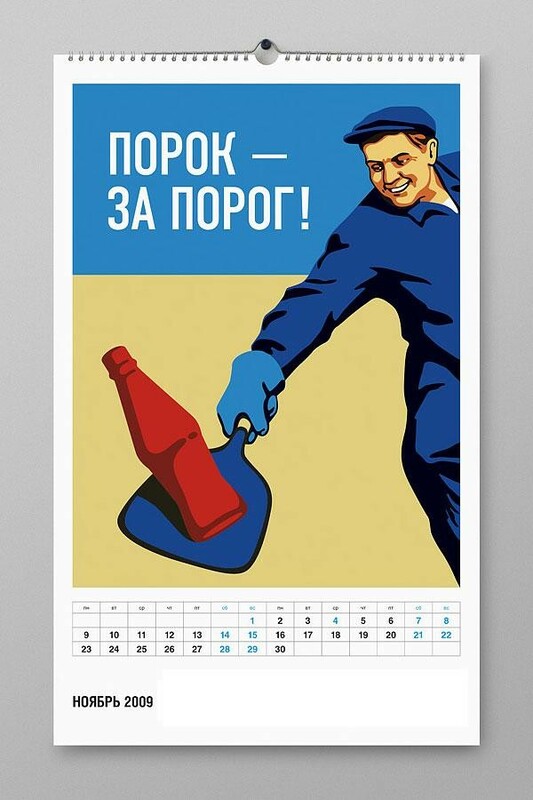 Nikola bottles are shaped much like Coke bottles, so the resemblance to Coke may have been used ironically by the designers but was not the main part of the message. I grew up in that country. Absolutely everything I said is true. 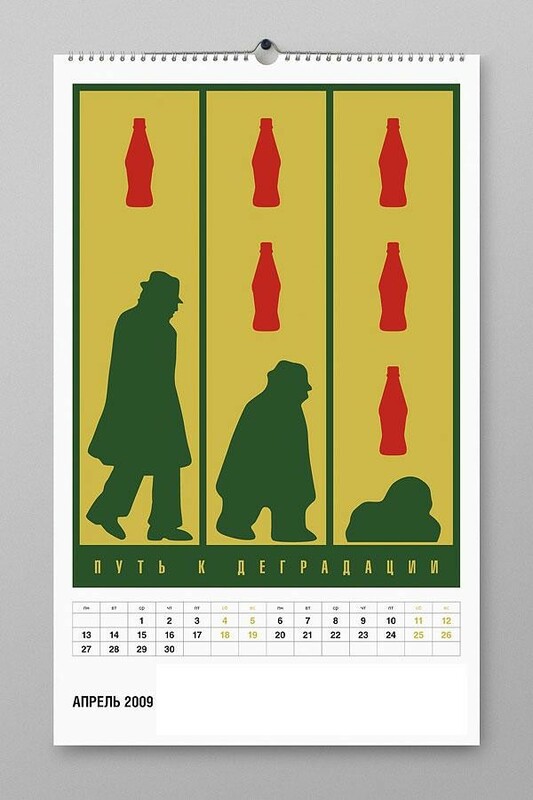 In Soviet Russia, Coke drinks you! Very pathetic calendars! Both by design and by the message they have. Coca-Cola is capitalist blood sucking company that will try to do anything to squeeze last coin from consumer. They will try to do anything to make you drink more and more, even while you sleep. But still, there are much worst addiction that should deserve attention of calendar publisher, than CC. Pure sugar. No nutrition. How can that be good for you? Coke is water, sugar, caffeine and caramel. Very scary for Russians ! THATS why my teeth are always so clean after a can of coke! It is just the usual effect of caffeine. The same would happen if you drank huge quantities of tea or coffee. Actually, those pictures are simply Photoshoped anti-alcoholism (anti-vodka) soviet era placards, where bottles of vodka submitted by the bottles of Coke. They will create more alcoholics for Russia, as well as more Homo-Sovieticus for our poor civilization. ..Just look at this forum… How many of them even here in EnglishRussia.com? Thirty percents? Fifty? What mad russian scientist came up with this craziness? Orange juice is far more acidic than a Coke. I saw a Mythbusters episode on tv about Coke and it did a good job at removing rust.But it did not disolve a nail very well or remove stains from clothes. 2Toby1: if you drink too much alchohol, as most Russian do here, you may know, how wrong are you. some drinks things, than can bring in fear you. in fact even some specealists fall in shock[toxicologists, narcologists and etc]. and you must [start]fear from now – because almost nothing can stop those men. yes, even headshots. even a series of headshots[there nothing to kill]. Where in America could I buy one of these? Coca Cola contains metacrackcarbondioxide! Beware! Boyakasha! Coca cola is drink for people who like to watch promotion on TV. Every drink (with the exception of water,) natural or man made, has chemicals in it. Beer, no matter what time period in which it was made, is made with chemicals. Fermentation is a chemical reaction. 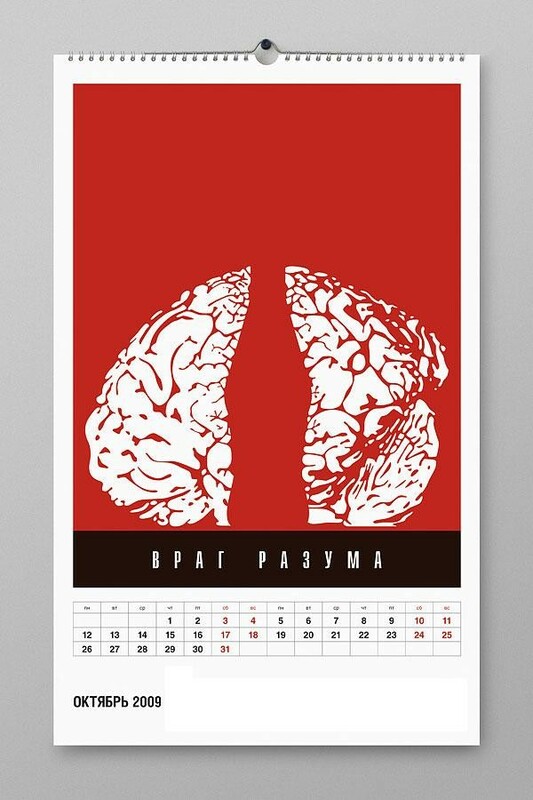 Enjoy some of the famous anti Coca Cola Ads and calender made in Russia. It’s a joke, get it? 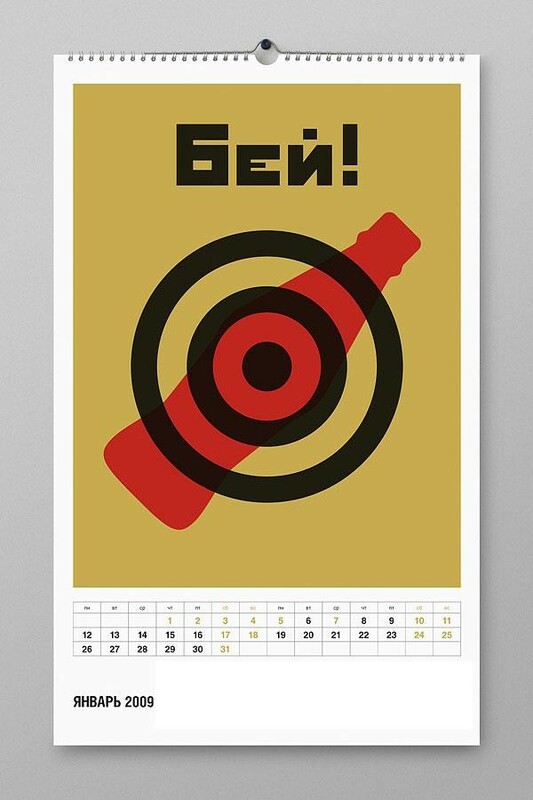 Made to resemble old soviet anti-vodka propaganda. Jesus, people. Coca-cola symbolizes the capitalist ethos, obviously some in Russia would be opposed to that, look at the conflict between coca-cola management and labour in Colombia, coca-cola are a major enemy of organized labour and the workers’ classes and I think that’s what we see represented in these pictures. 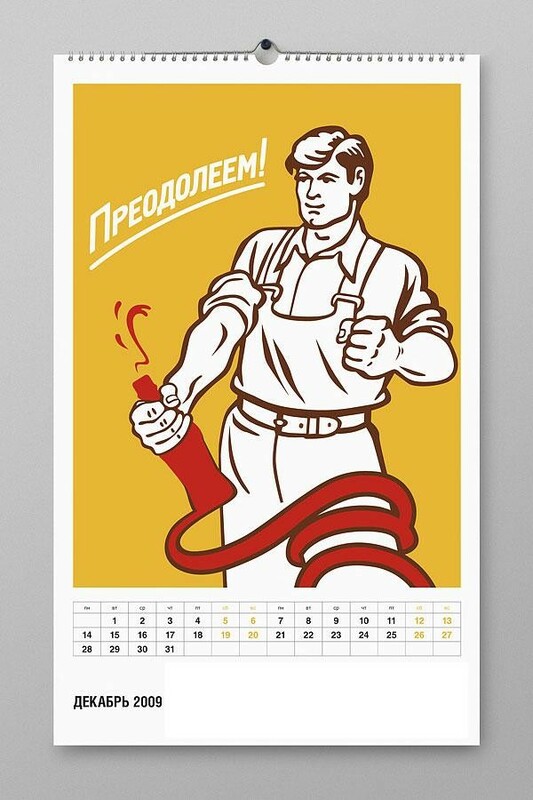 The reason is clear: this is the remake of Soviet anti-alcohol posters. Coke is really bad for you. I used to drink a lot and was addicted. My stomach hurt when I drank it, finally I stopped 6 months ago. Now I drink Nestea Forest fruit and I am much healthier. Agree with pics. Cola is chemical venom. OK, Coke is Bad! But Vodka is 1000 times worst! Why not an anti-Vodaka one? Wow, this is great. Not only beautiful but meaningful too. I’ve been boycotting Coka Cola products ever since I realized what dirty business they’re into. 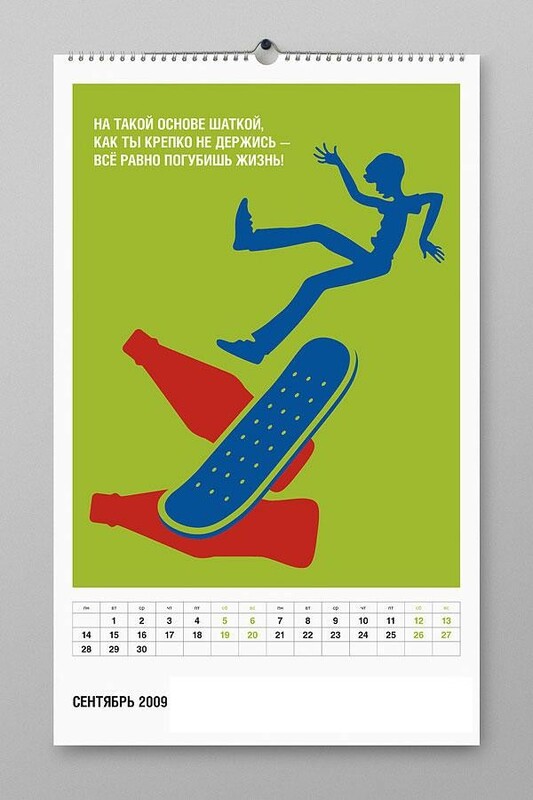 Where can one buy this calendar? Мы все равно поработим весь мир. It is widely known by older auto mechanics in America that Coca-Cola can be used to unlock an engine that has siezed due to rusting. I have done this myself and can attest that it is true. In the future, drinking this liquid garbage will be looked upon like treating syphillus with mercury…. Coke is really bad drink and it destroys your stimack and all the stomack or connected to that functions. Russian people do not eat so much all this unhealthy food, because they know what IS real healthy food. And they also don`t shy to COOK for themselves. Ty my mind it is better to skip the food time rather than to eat in MCdonalds restuarants. The other thing is , that sometimes I do go to MCdonalds and drink coke as well , just because I have a willing to eat something unhealthy. 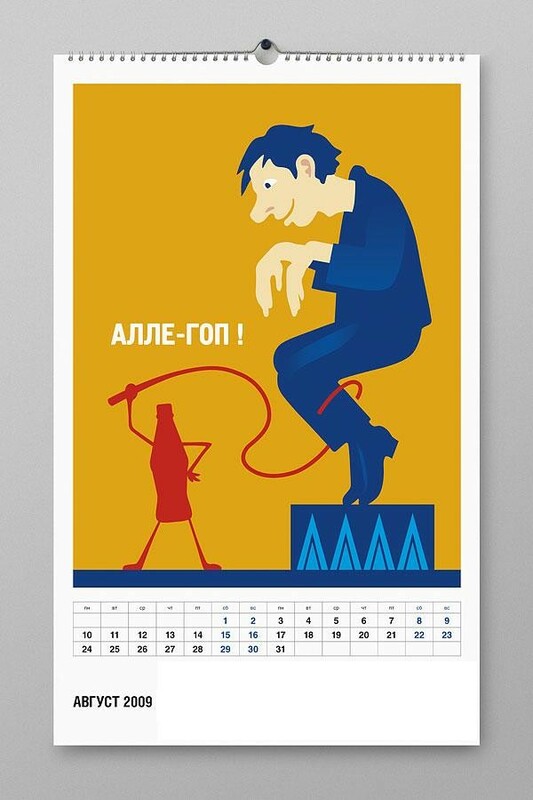 These are old anti alcohol propaganda posters that have been photoshopped to make a joke calender. It is desirable to proceed further with reform of the renminbi exchange-rate regime and increase the renminbi exchange-rate flexibility.